Hi friends! It's time for a Karber Weekly Challenge! 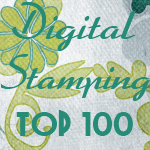 This week the challenge is to use two design papers and a digital stamp. Visit our Challenge blog to see the lovely cards and projects of our designers. Our friend Linda is on vacation, but she will be back soon. In Karber Shop you can find Digital Paper Packs!!! And we are celebrating the Thanksgiving week with a special for our customers for details click HERE.